New director Ion Hazzikostas fields questions from fans. 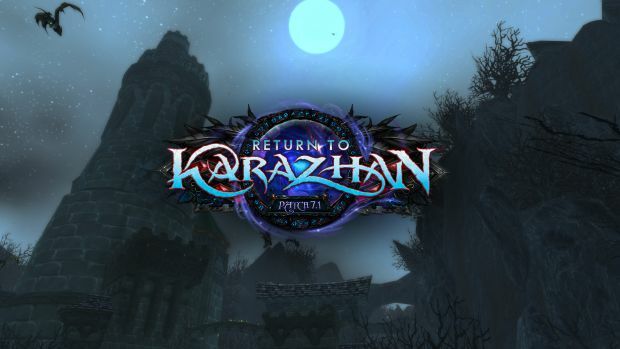 Following the release of Legion, World of Warcraft will have another major content coming in with patch 7.1 aka Return to Karazhan. It will be out on October 25th according to Blizzard Entertainment. A new Q&A video has also been released where new game director Ion Hazzikostas answered questions from fans about the update. Return to Karazhan features quite the amount of new content – Karazhan itself is a five player dungeon filled with nine bosses and there’s even a raid of sorts that brings the tale of Stormheim to a conclusion. Players can also expect Suramar content taking place outdoors. Those curious about the exact nature of the patch’s content can head to the World of Warcraft Public Test Realm (PTR) and try it out for themselves. Meanwhile, previous director Tom Chilton has left World of Warcraft as its game director to work on an unannounced Blizzard project. Could it be the next Diablo? Let us know what you think in the comments below.